This event is free and open to the public, but we need sponsors so we can get the needed offerings. Please sponsor the Yajnam for $250, $108 or $27. Please bring fruits for offering and wear comfortable, non-revealing clothes, covering the legs to the ankles, and covering the shoulders for women, in keeping with the Indian tradition. 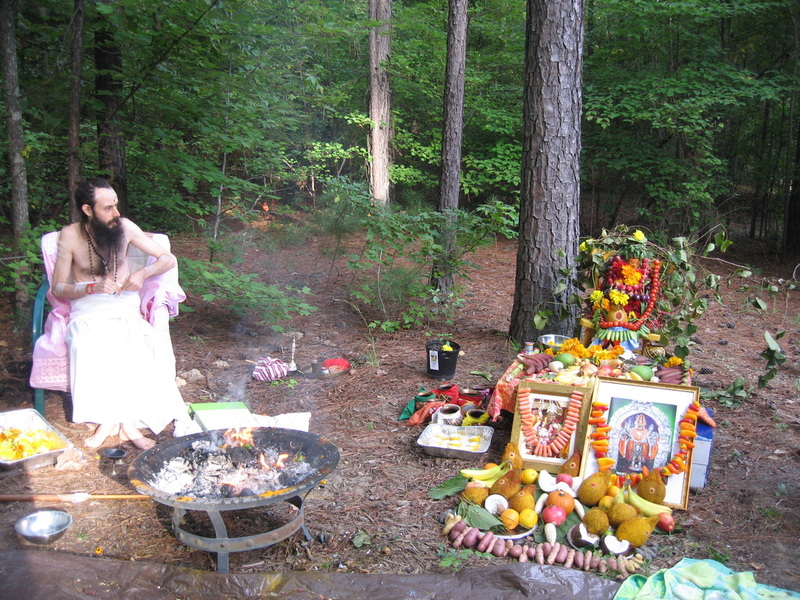 Those who wear traditional Sari or Dhoti, will be invited to make offerings into the fire. Nava Ratri is a nine night festival for the Goddess. There are several different times of the year that nine night festivals are held to honor the Divine Mother. The most important of these is Vasant Navaratri. Vasant Navaratri is the nine night festival for the Goddess occurring in the spring time during the waxing Lunar cycle of the Lunar month of Chaitra. The last day of the festival is considered especially sacred, and is known as Maha Navami. 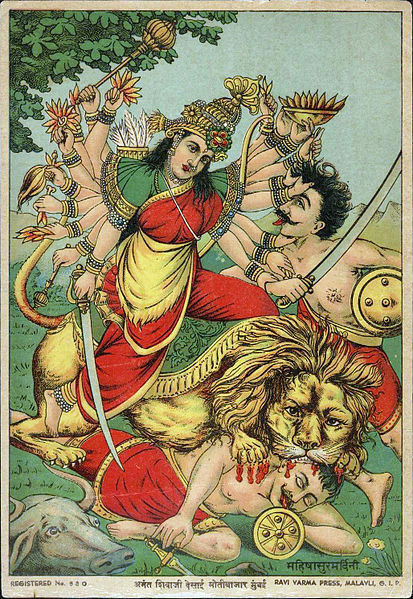 It is celebrated as the time that Goddess Durga defeated the Demon Mahishasura. Mahishasura symbolizes the instinctive mind, darkness, and ignorance, which the Goddess helps her faithful devotees to conquer.